"Ending it all was only the beginning." Ted is a man who has watched everything he has said and done in life. His wife has decided to leave him, and he feels that his life can't get any worse. Before he can change his mind, he goes to his family home to give those who had a hand in his sheltered life a piece of his mind. 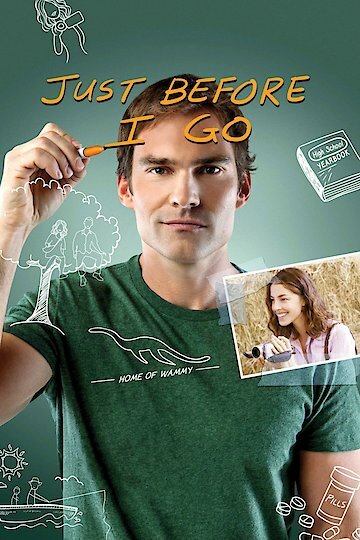 Just Before I Go is currently available to watch free on Vudu Free and stream, download, buy on demand at Tribeca Shortlist, Amazon, Vudu, Google Play, FandangoNow, iTunes, YouTube VOD online.